Most homes have a designated area for prayer which is commonly called as “Altar”. It is also the best place in our home were we meditate and worship God, whatever religion you have. We need food to feed our body to be healthy and strong same as praying and worshiping God which feed our mind and soul with love, comfort, inspiration, positive things and peacefulness in life. Most of us look for a quiet and peaceful place to worship God that’s why they provide their own altar at home. One of our clients in Admiral Village, Taytay, Rizal, Philippines have altar and wide prayer area with wide sliding glass door. 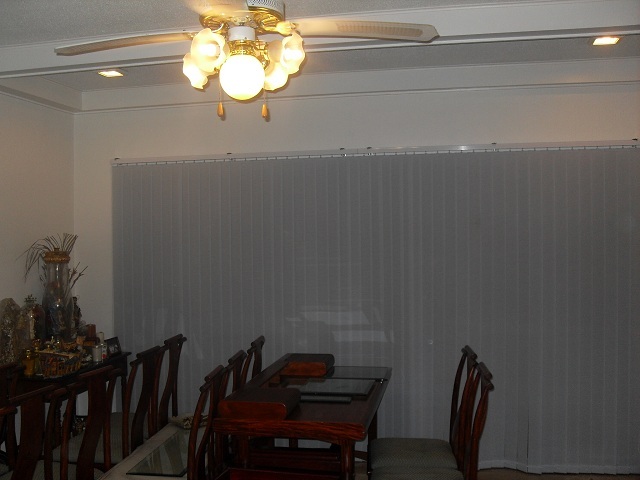 To assure the comfort and peacefulness of her prayer room, she opted to have Fabric Vertical Blinds to cover her wide sliding glass door. Light weight of fabrics used for Fabric Vertical Blinds creates calmness and at the same time, helps regulate the temperature in a room. 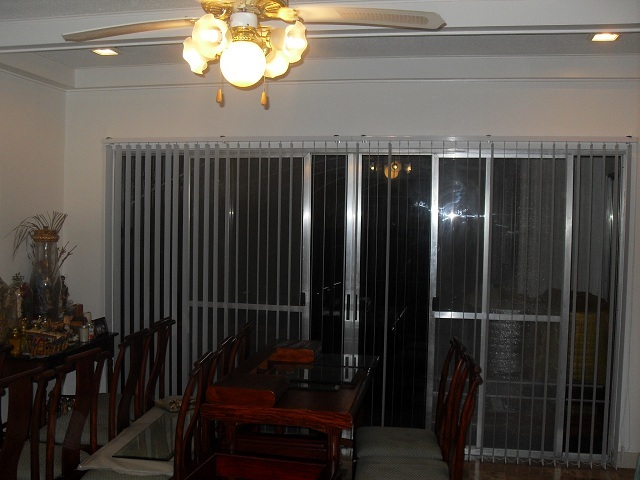 Moreover, it also helps to protect her furniture from direct sun rays which causes damages like warping and fading of color. · 4th level Waltermart, Makati City.